Mobile Money Business Models, Consumer Protection, Interoperability and Ecosystem. Creating the Regulatory Environment that supports Financial Inclusion. Mobile Payment Regulations, how the roles assigned to each stakeholder in the ecosystem led to the faster adoption of digital payments. MOBITO: the universal mobile payment service of the Czech Republic. How banks are operators worked to provide mobile payments to all mobile customers in the country. JOMOPAY: how a regulator led a consortium of banks and mobile operators towards the adoption of mobile money and payments ; the role that JOMOPAY is playing in changing the status quo of the unbanked and underbanked population in the country. 9 : 45 - 11 : 00 Mobile Money Business Models, Consumer Protection, Interoperability and Ecosystem. Creating the Regulatory Environment that supports financial inclusion . 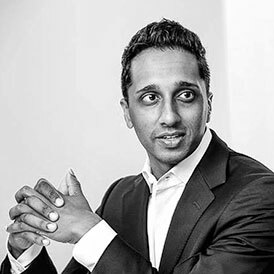 Nathan Naidoo is the Director of Public Policy for the GSMA Mobile Money team, where he manages industry relations on mobile money with a broad range of external stakeholders. 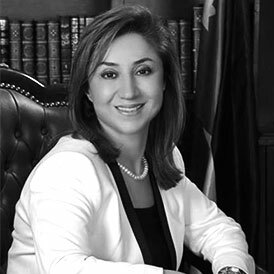 Executive Director of the Payments and Local Banking Department / Central Bank of Jordan, from July 2011 until today. Before joining GSMA in 2016, Nathan served in the global public policy team of Vodafone Group. At Vodafone, Nathan led engagement with policymakers and regulators around the world in support of the company’s successful mobile money service, M-Pesa. Nathan was also actively involved in industry initiatives during this time, including the creation of a Code of Conduct for Mobile Money Providers. Nathan previously served as a political analyst and media relations professional. He holds an MBA from the London Business School and an MA in Political Science from McGill University in Montreal. 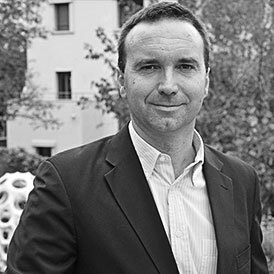 Gérard BURION spent 20 years in the field of payments, customer loyalty, and media. Gérard has accompanied numerous international brands to monetize their services and content. 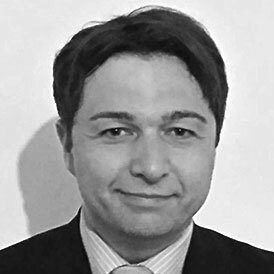 Gérard is currently working for Oberthur Technologies in charge of the development of mobile financial solutions (mobile Wallets, EMV mobile payment, mobile money) for Europe, Russia and the Mediterranean countries. Previously, Gérard has developed international offers for financial institutions, network and content operators in Europe, U.S. and China; It has promoted value creation solutions such as credit card loyalty programs, monetization by mobile content operators, protection of pay-TV media content and interactive TV services. Gérard graduated from the University of Sciences in Paris and obtained a Master 2 in Robotics, Telecommunications and Industrial Computing. Professor Francesc Prior Sanz is an international expert in mobile financial services with more than 20 years of international experience in the financial services sector as well as specialized research in mobile financial services, regulation of electronic money, distribution of financial services by Agents, fund transfers, payment systems, financial inclusion, and venture capital. January 1988 - April 2010 various functions at the Central Bank / Investment and External Banking Department, Currency Department, Payments Department and Local Banking, president of the Committee for the Fourth Edition of the "King Abdullah Award for Excellence ". 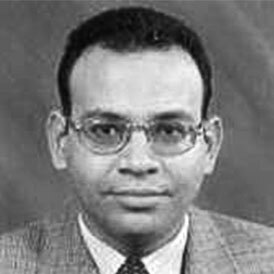 Having above nineteen years of experience in Payment Systems (PS) and Information Technology (IT) captured through my work in Central Bank of Egypt (CBE) and IBM Global business services (IBM), and having diversified experience in areas, like financial services, project management, and strategic planning. Heading the Payment Systems Department (PSD) in CBE for the last nine years, reporting to the Deputy Governor, with major responsibility for PS reform in Egypt, including establishing a vision and strategy of PS, a strategy for financial inclusion (FI), designing government payments and collections, and establishing the oversight function. Engaged directly in every single decision related to PS reform in Egypt, with a vision to all payments' pillars and with the capacity to go deeply in each single pillar while keeping the broad view; Meanwhile, provided consultancy to other central banks. Worked for IBM for above six years, acting as a project manager for a number of large projects. Post graduated with MBA degree from an accredited American university. Having strong management skills, communications, negotiations, and presentation skills, plus the capacity to work in diversified environment. I am looking for a management position where I can develop and implement strategic directions in areas of payments, financial inclusion, or retail banking.